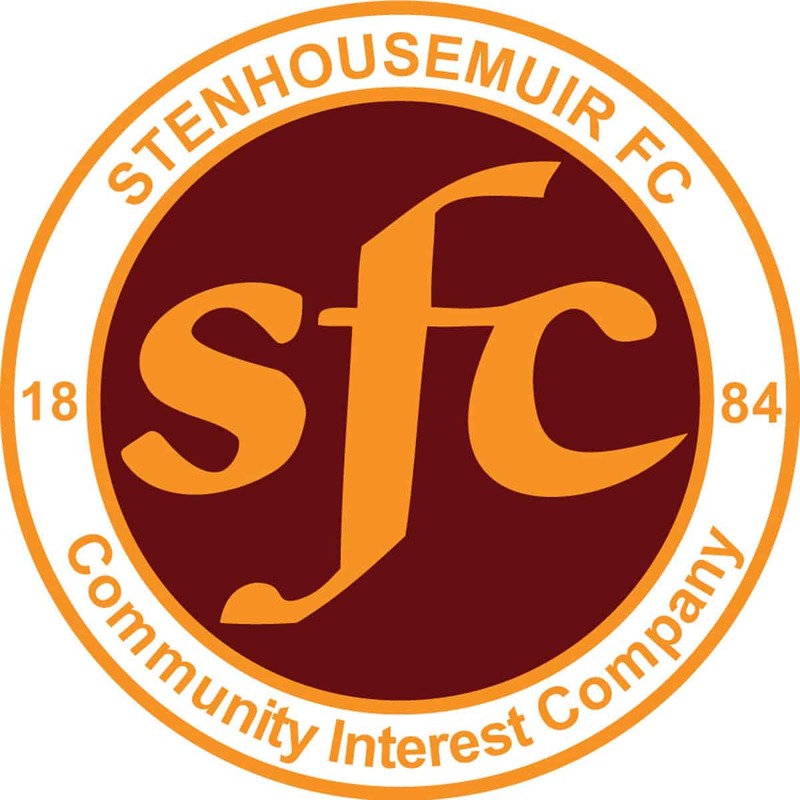 Stenhousemuir – Smith, Reid, Donaldson, Neill [b74], Tena, Gibbons, Dickson, Duthie, Cook [McGuigan 85], Vaughan and McMenamin [O’Hara 64]. Subs not used – McMinn, McGuigan, Sinclair, Johnson, O’Hara and Kemp. Queen of the South – Leighfield, Mercer, Marshall [Harvey 74], Doyle, Stirling [b90], Jacobs, Semple, Murray [Harkins 68], Tremble [Dobbie 55], Bell and Dykes. Subs not used – Fordyce, Dobbie, Harkins, Exley, Watson, Harvey and Martin. Although the Warriors were playing Championship side Queen of the South in this game the opposition weren’t as strong in the starting eleven as they could be as they had several of the big guns on the bench as the games come thick and fast for them. Stenhousemuir made a couple of changes from Saturday but not as many as the visitors. The Doonhamers almost had the first chance of the game through Connor Murray who had shown good control to get into the danger area but Alan Reid nipped the ball off his toes just in time. In the 11th minute of the game Stenhousemuir had their first real attempt when Bobby Vaughan connected with a cross from the left but he was unable to get any purchase on the ball as he stretched for it and it meant a routine save for Jack Leighfield. After that there were several efforts from both sides but nothing untowards for the keepers as they all missed the target. For Stenhousemuir Alan Cook, Sean Dickson and Vaughan again all had attempts on goal. Callum Semple headed over for Queens but the unluckiest player was ex-Warrior Andy Stirling who had opened the defence up with a good run but his dinked shot went just wide on the half hour. When the half time whistle blew there was no scoring and although Stenhousemuir had the bulk of the play they were not able to make it count where it mattered. Talk at half time was about whether the game would go to extra time or straight to penalties after 90 minutes as the game looked as if it could be a repeat of the first meeting between the clubs in the Challenge Cup that ended goalless. The introduction of Stephen Dobbie put any notions of a no score draw to bed as he turned the game in Queens favour almost as soon as he came on the pitch. Within three minutes he had opened the scoring when he stroked a first time shot past Graeme Smith from a Scott Mercer cross in 58 minutes. Three minutes later it was 2-0 with Mercer once again the provider and this time Lyndon Dykes finishing after capitalising on Jesus Tena’s failure to clear the ball at the near post. The best chance for Stenhousemuir came just afer this when Cook and Ruaridh Donaldson combined and the latter crossed for Vaughan who headed just wide. Any thoughts of a comeback though ended in the 65th minute when Dobbie hit a rocket into the net before Smith could move. In the latter stages Kevin O’Hara on his debut was unlucky with an effort that went just over and Cook almost capitalised on a poor header by Michael Doyle but shot wide again. Stephen Dobbie though came closest to another goal when he met a Daniel Harvey cross and steered it towards goal but the faintest of touches by a Warriors defender diverted it onto the post to deny the striker his hat trick. The final score of 3-0 taken over the 90 minutes flattered the visitors but there is no doubt that overall they deserved victory with once again Dobbie making a marked difference to the team.